More than 130 looked-after children from Wales are currently in care placements outside the country. Figures vary between local authorities, with 16 children from Swansea in care outside of Wales, but none from Carmarthenshire or Denbighshire. Action for Children said some were being placed "hundreds of miles away", making them feel "disconnected". The Fostering Network said without more foster carers, some children would end up living a long way from family. BBC Wales asked all 22 local authorities in Wales how many children and young people they currently have placed in foster care outside the country. Eighteen councils provided figures, showing at least 131 have been placed outside Wales - either with a foster carer, a relative or friend, or in a home. Merthyr Tydfil, Rhondda Cynon Taf, Vale of Glamorgan and Wrexham councils did not provide figures. Placement authorities include Southampton, East Sussex, Berkshire, Hertfordshire, Greater Manchester, Merseyside, Doncaster, London, Staffordshire, Cheshire, Shropshire, Buckinghamshire, Herefordshire, Essex, Leicestershire, Worcestershire, Gloucestershire and Somerset. Jennie Welham, from Action for Children, said she had noticed an increase in children being placed outside Wales in the last 18 months. Ms Welham, children's services manager for Torfaen's Multi-disciplinary Intervention Service (Mist), said: "As a child, if you're placed out of an area, out of Wales in particular, away from your family, your community, your school, your friends, activities you might have been doing, it's a big deal. "Children find themselves in a strange environment, a different culture, so it's not only that you might lose your home, you lose everything that goes with it. "You might have a child who's from a Welsh valleys culture being placed within a suburb in England, in Surrey, and I think that's huge for your identity." But she added sometimes the placements were for good reasons if, for example, the child would be living with relatives, which she said was "preferable for identity purposes". The Fostering Network said last week at least 440 foster families were needed across Wales. 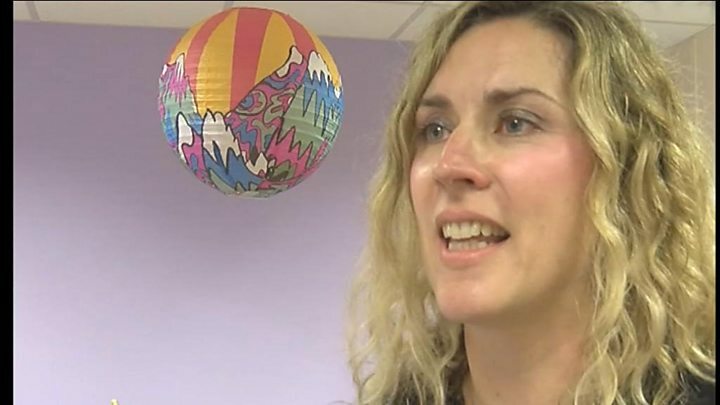 And Dr Jael Hill, a consultant clinical psychologist at Torfaen Mist, said the lack of foster carers - particularly for children with specialist needs - was at the heart of why youngsters were ending up out of Wales. She said many foster carers had "inadequate support from mental health services and therapeutic services to really understand those children's needs". "What we've learned is meeting these children's needs really does require people to work together across health, education, social care and the voluntary sector and that's sometimes difficult to pull off," Dr Hill said. "There are projects that do that really well, but it takes a shared vision across the agencies and that willingness to collaborate." Colin Turner, director of the Fostering Network in Wales, said the charity was urgently calling for more families in Wales to come forward, "especially those able to foster teenagers and groups of brothers and sisters". And Des Mannion, head of NSPCC Wales, said: "The majority of children who need foster care have suffered from abuse and neglect in their birth families and they are taken into care to protect them from significant harm. "It is often challenging to find a placement that will meet the child's needs, but moving them outside of their local area often makes it difficult to provide the best possible support to them."